You are tight on time. Here is a summary of the advantages of breastfeeding vs bottle feeding. Breastfeeding provides the perfect food for your baby and changes based on baby’s needs. Formula provides baby with a fixed amount of highly processed ingredients targeted to meet the needs of most babies (as we know them today). Breastfed babies get sick less often. Formula fed babies are sick more often and take longer to regain their health. Breastfeeding very rarely causes your baby intestinal upset or constipation. Formula feeding causes more gas, more stomach upset and constipation. Nursing babies have poop that is orange in color and has virtually no smell. Formula fed baby poop is usually dark brown and smells as much as - or more - than adult poop. Nursing causes the secretion of prolactin and oxytocin (the “mothering hormones”), nature’s way of helping mom do her very best for her baby. Mother gives the gift of immunity to her child with breastfeeding thru specific antibodies in breast milk (secretory immunoglobulin A (sIgA), the maternal antibody immunoglobulin G (IgG), and by passing beneficial bacteria and DNA from her own gut. Women who are not nursing do not secrete prolactin or oxytocin. Less preparation is necessary when traveling with a nursing baby. Formula feeding while traveling requires planning, supplies and cleaning facilities. Nursing reduces mom’s chances of getting breast cancer. Not nursing increases mom’s chances of getting breast cancer. Breastfed babies have higher IQ’s (up to 10 points higher) than babies that are fed formula. Infant formulas may be convenient but they have a very dark side. Although they are marketed as nutritious and convenient, they are neither! Modern-day infant formula is the ultimate refined food, a product of science, composed of highly processed ingredients such as sugar, nonfat dried milk, vegetable oils and a list of synthetic nutrients. This is true for organic formula which is made from the same ingredients for the most part, they just are not genetically modified. Soy formula is even worse in that it is made of say protein which causes estrogen like effects in the baby, disrupting baby's delicate hormone balance, as well as sugar and refined oils. These are ingredients that are well known to cause a slew of health problems in adults, much less babies whose intestines are struggling to create the balanced intestintal flora necessary for healthy lifelong immunity. 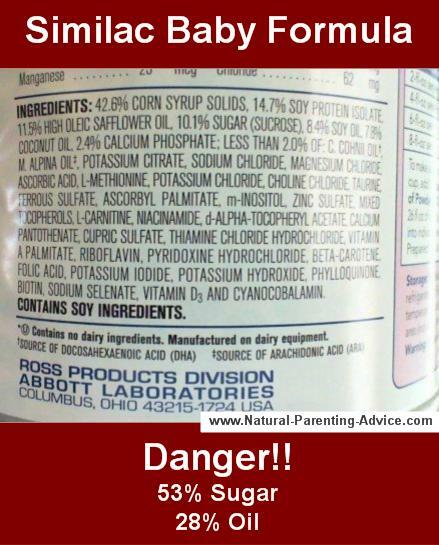 Carrageenan, an ingredient is some infant formulas is both entirely unnecessary AND it is known to cause intestinal inflamation. It is prohibited in the European Union, but present in formula in the United States. 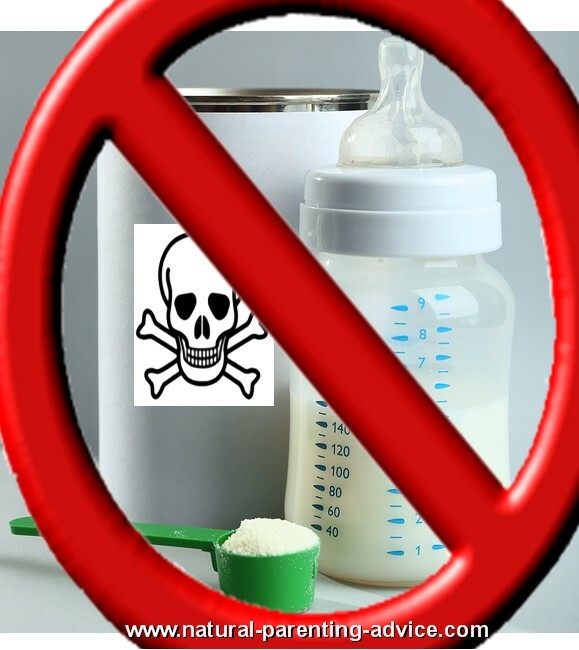 For the most through and well written article we have seen about the dangers of formula read The Scandal of Infant Formula by Sylvia P. Onusic, PhD, CNS, LDN, a board-certified and licensed nutritionist, writer and researcher.